Stunning Open Concept Ranch in Fox Lake Subdivision! This beauty is only 4 years old – it’s practically new! 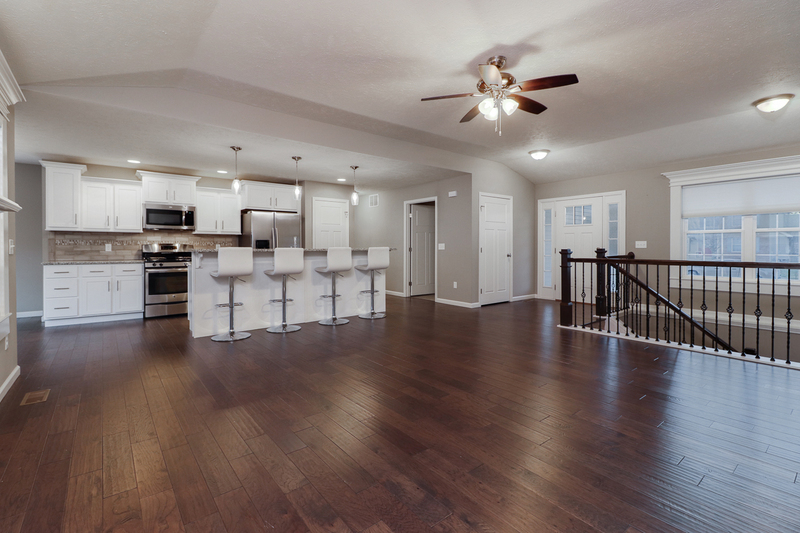 Eat-in kitchen with pantry and stainless steel appliances overlooks the family room with gas fireplace. Keep an eye on guests or family members at all times and stay involved with the entertaining. Two tier breakfast bar allows for extra seating for 4. Split floor plan allows for Master Bedroom privacy with other two bedrooms on the other side of the house. Master has tray ceilings, dual vanity, and walk-in closets. Unfinished basement leaves you the opportunity to complete it to your liking! Create the basement of your dreams! Rough-in for a bath is already there. Backyard features nice pergola-like structure for potential shading in the summer. Come see this beauty! !